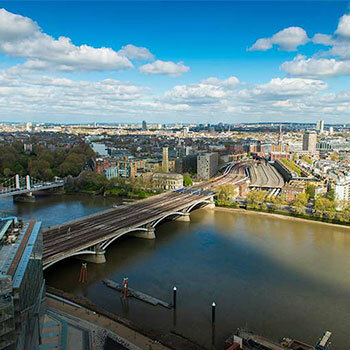 Based on the Thames in London Bridge, our London office was established in 1988. Since then it has grown to a team of more than 100, encompassing all ten of our service lines. It is also home to our BIM and Marketing functions. The team in London focus on projects throughout the city and the Home Counties, as well as contributing to the practice’s work internationally. 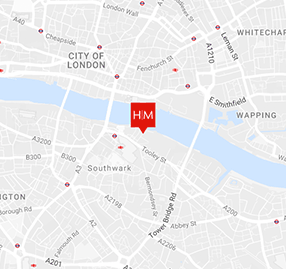 We have close ties with architects and consultants across the capital and, having delivered projects in every London borough, have an excellent understanding of the planning process and energy requirements involved. From our Hays Galleria home, we have full view of some of our most iconic designs, including 20 Fenchurch Street ‘the Walkie Talkie’ and 30 St Mary’s Axe ‘The Gherkin’. Our work is not limited, however, to commercial buildings. Our multi-disciplinary design teams have worked on projects at all scales and in all sectors – from parcelled work across the Girls Day School Trust’s estate, to the design of the ‘pods’ which make up the CitizenM Hotel in Shoreditch. VR: Design Tool of the Future or Marketing Gimmick? Will London always have an air quality problem?